All eyes will be in Durban to see which Soweto side will come back home with the league trophy between the favorites, Orlando Pirates and Moroka Swallows. All teams in the PSL are left with only one game before the end of the season. Moroka Swallows has performed beyond expectations and only few thought they would be where they are, trust me it what I call football beyond anticipation. 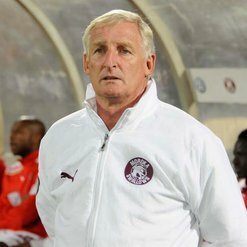 Speaking at the press conference on Tuesday Moroka Swallows coach Gordon Igesund said he can’t be more happy than he is now. His team has shown character. He said whether they win or lose the league he still believes they had a magnificent season. He’s happy with the team’s commitment though they had to work with low budget. Igesund must be applauded for being able to create a competing squad using players like Mpho Maleka, Bennet Chinene, Joseph Makhanya, Luvhengo Mngomeni and David Mathebula. These are players who use to be bench warmers in their previous teams. Igesund has breath life in these players to an extent that David Mathebula and Siyabonga Nomvete is contesting for the player of the season award. The Dube birds are on fire; in their history they have never won the league. They are on verge of joining Manchester City that won the league after decades and decades of trying. Swallows are second on the log with 52 points and the Iron Duke boys are leading with 55 points. The birds will have to throw all they have and cross fingers that Golden Arrows stand on the way of Bucs from winning the league. Orlando Pirates Coach Augusto Palacious told the media on Tuesday that as much as his team wants to win the league but they are taking it easy. They even play Volley ball, they practice with music in the background as they prepare for their last game against Golden Arrows. They might as well go to play golf. 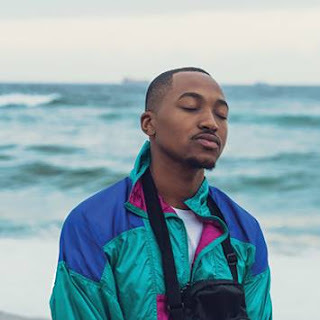 Palacious is confident that he will add more dignity on the Pirates Brand by winning the league. These two games can leave a lasting memory on the players like Siyabonga Nomvete who has never won a league medal in his career. He’s the leading goal scorer, winning the league as well can be something that he will never forget. Daine Klate is regarded as the golden boy who attracts the league trophy wherever he goes. He won it with Super Sport United and with Orlando Pirates. David Mathebula is also on the edge of winning his second league medal with a different team as he won it with Kaizer Chiefs previously. As Gordon Igesund he will be the all time coach who won five league trophies with different teams in South Africa. Macbeth Sibaya and Benni McCarthy are senior players who just joined their teams. Who will open Champaign between this two come Saturday afternoon? It has been the battle of ideas, skills and tricks on the technical sides of all teams now is the time to see who the best is. At some point we all thought Mamelodi Sundowns were going to emerge victorious but the tactics got exhausted early. It has been an exciting season full of drama. Jomo Sono only brought pain to the fans of Jomo Cosmos as he won the relegation. Kaizer Chiefs fans had the most frustrating season ever in their history however let’s glue our eyes in KwaZulu Natal where things will be happening. Who will be the happiest man on earth between Palacious and Igesund?